Cellulites on your thighs, back of arms and buttocks? That could be cause for alarm! Before you panic, consider for a moment that at least 90 per cent of women are estimated to be affected in varying stages of cellulite development and categories. What is it exactly with women and cellulite? Now, you’re getting down to the more important questions to ask. Women and men alike have been spending on beauty. For women, one of the top issues, both skin-wise and confidence-wise will have to be those bumpy, dimply bulges showing up annoyingly on fat storages all over the body. From anti cellulite creams to yoga for cellulite, all the way to plastic surgery, women, particularly those whose self-esteem are dampened by the appearance of cellulites, will do anything to smoothen out those orange peel skin. Related: Cellulite Creams : How to Find the Best One for You? Formulated with Adiposlim and Adipoless, these proprietary ingredients work to melt and move fats out your problematic area and, eventually, out of your body. This hyaluronic acid and squalane in the formula, meanwhile dramatically increases the moisture content of your skin, instantly plumping and firming the area. This makes the bulging fats appear less noticeable from the surface. To know more, read the detailed Cellmaxa review. This product comes with money back guarantee when you purchase direct from manufacturer. Unlike most other cellulite and firming products, this one finally makes natural-based cellulite solution possible. The key ingredients are Retinol A, algae extract, caffeine, horsetail extract, shea butter and capsicum. Combined, these ingredients improve blood and fluid circulation. 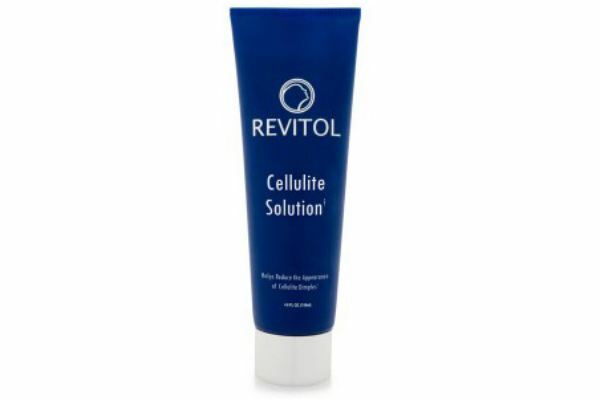 To know more, read the detailed Revitol Cellulite Solution review. Formulated with aminophylline, which helps burn excess fat. Combined with aloe, green tea, algae, caffeine, and L-cartinine, this cream will help you burn fat faster and bettr resist fat storage in the future, as it also aids in restructuring and re-texturizing your skin. To know more, read the detailed Cellulean review. Encapsulated liposomes, benzyl nicotinate, caffeine, retinol, and menthol are the key ingredients in this product. Together, these metabolism enhancing and skin calming components improve your skin’s elasticity, firmness and volume, making your skin appear fuller and your cellulites less noticeable. 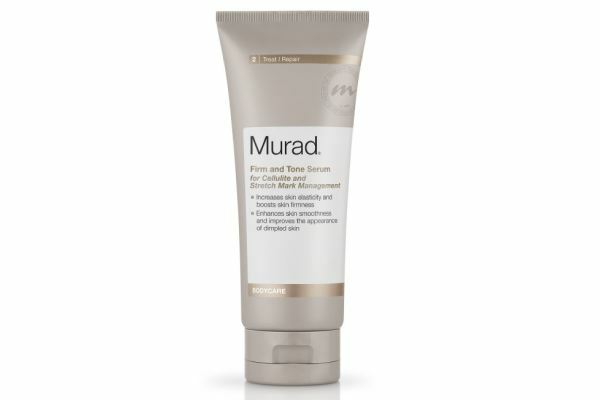 To know more, read the detailed Murad Firm and Tone Serum review. Formulated with L-carnitine and lotus extracts, this anti-cellulite product promises to improve the appearance of dimply skin in just 10 days. L-carnitine speeds up the rate of fat metabolism and excretion from your system. Lotus is well known for its tough fighting power to exist in the most unforgivable environments, and it is that resilience that it folds into your skin. 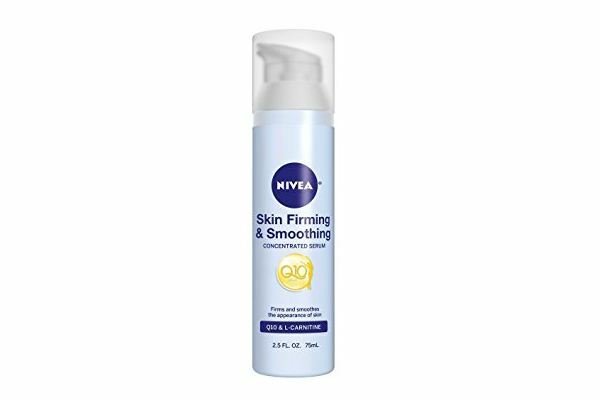 To know more, read the detailed Nivea Good-Bye Cellulite Fast Acting Serum review. Formulated with 3 key proprietary ingredients — Regu-Slim, Provoslim and Drenalip — that work overtime to give your skin a better contour. Arginine is also added in to support better circulation which, in turn, supports improved metabolism and fat elimination. To know more, read the detailed Celluvexin Cellulite Cream review. Definitely one of the most expensive of them all, this product works up your fats and revitalizes your body’s natural fat burn and metabolism mechanisms by combining retinyl palmitate, Vitamin E, and caffeine. This way, it not only helps improve fat and fluid drainage, but also works by strengthening your skin, making it appear thicker and denser in such way that the bulging fats on your cellulite-challenged areas do not show through your skin’s surface. To know more, read detailed Bodishape Cellulite Cream review. Combining caffeine with Cangzhu, geranuim, horse chestnut, blue button flower, and phospholipids derived from sunflower, this product’s formulation works by stimulating faster fat burn and improved rates of metabolism. These ingredients also work to replenish your skin’s ideal nourishment to support faster skin regeneration. Read More. 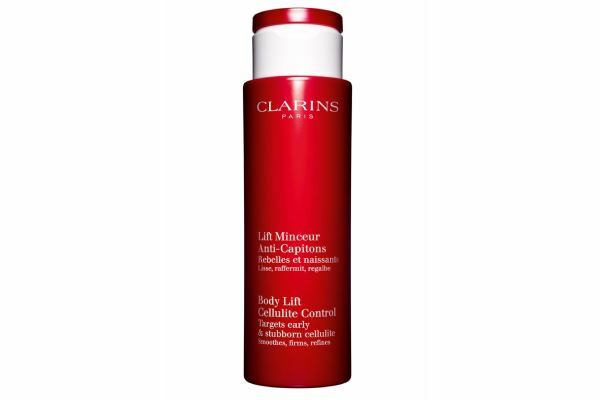 To know more, read the detailed Clarins Cellulite Cream review. This formula is made with the proprietary ingredient, skinTIGHT complex which promotes firmer skin and improved skin elasticity. In addition, this product also improves microcirculation with the help of caffeine, boosts moisture with algae extracts, and protects and promotes faster skin healing with green tea extracts. Natural DHA also gives your skin a tan on product contact which immediately fades the appearance of cellulites. Clinical trials show that thigh circumference decreased by up to 1.6 cm in just 8 weeks of regular product application. To know more, read the detailed Tarte Cellufight Cream review. The key ingredients in this cellulite reducing cream are L-carnitine, and a seaweed known as Fucus vesiculosis or, Bladderwrack Extract. The formula works in 2 ways. First, it helps you eliminate excess fat cells through faster fat burn with the help of L-carnitine. Second, it helps strengthen and toughen up your skin by restructuring and improving skin synthesis with the help of bladderwrack. The manufacturer claims to give you up to 90 per cent improvement in the appearance of your cellulites in just 4 weeks of regular product use. 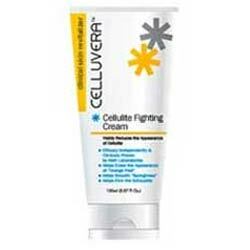 To know more, read the detailed Celluvera Cellulite Cream review. LipoSmooth Body Polish by Institut DERMed Body. 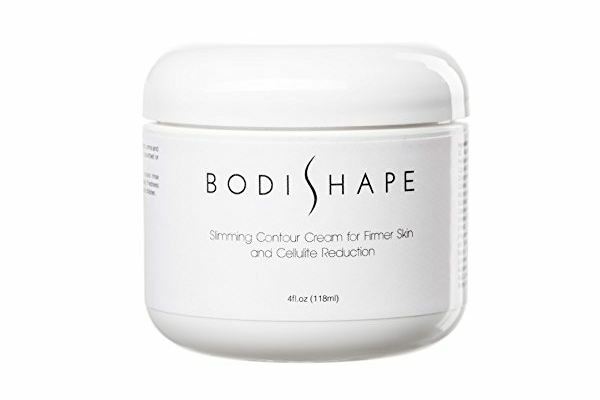 These are products for slimming and re-contouring cellulite-challenged areas of your skin by delivering key ingredients that include Regu-Slim, a proprietary ingredient that has been proven to deeply penetrate your skin to stimulate fat burn and reduce the density of bulging fats bumping against your skin. Methyl nicotinate, an ingredient that opens up your constricted veins and makes possible blood and fluid to rush to problem areas, making your skin appear plumper and denser. These products are made only with natural ingredients plus, it does not contain toxic ingredients like phenoxyethanol, parabens, sulfates or phthalates. 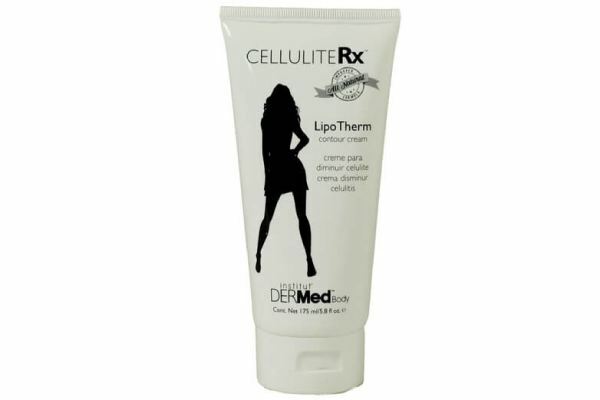 To know more, read the detailed Cellulite Rx review. Its primary component is a so-called QuSome-encapsulated caffeine. This is different from ordinary caffeine components, in that, the QuSome technology allows the caffeine to be transported deep into your skin where the capsule later bursts to release the caffeine and get it to work more effectively in stimulating better local circulation. Once a better circulation is at work, you can expect firmer and better toned skin, and also an enhanced metabolism that permits the faster burn and elimination of excess fats with the help of Bupleurumfalcatum Root Extract, another key ingredient in this formula. 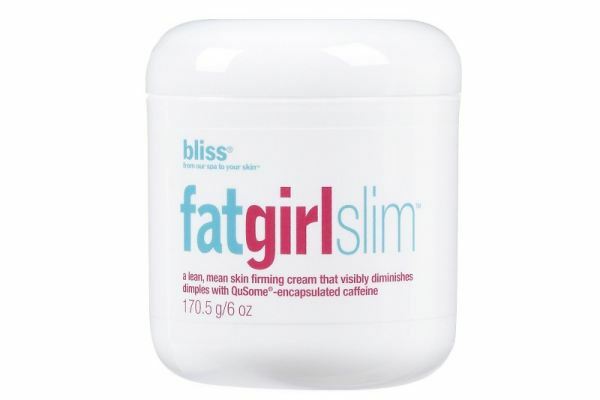 To know more, read the detailed Bliss Fat Girl Slim review. There is more shady and unavailable information to this product. By far, it can only be said that this product’s makers claim that this cream is capable of rendering for your body a better contour and a noticeably firmer skin. In turn, this redounds to the reduced appearance of cellulites. To know more, read the detailed SeS Natura Anti-Cellulite Cream review. Cellulite reduction was never meant to be an easy task. Fortunately for you, you’ve got wonderful options. Now, it really only depends on what risks you are willing to take, how much time you are allowing to see results, and how much you are willing to spend. When it comes to cellulite creams, it’s guaranteed that you won’t see improvements overnight but, there is neither any certainty that improvements will become noticeable with regular, long-term use. Zwave Cellulite Treatment: Is It Worth Trying?